NICE Actimize combines boundless data, agile analytics and transformed operations to build the revolutionary modernized fraud platform, IFM-X. With the rapid pace of technology advancements in recent years, Financial Institutions can break the limits of current systems. As payments evolve, so must the way we fight fraudsters. Detecting and preventing fraud, as well as managing anti-fraud operations is becoming more complex. Systems are quickly outgrowing their data capacity and innovative banking products introduce new types of data at a faster pace. 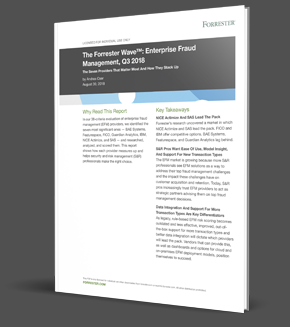 As fraudsters become more agile and sophisticated, so must fraud management solutions. It’s no longer a want, but a must for FIs to have advanced data-driven analytics to fight fraud. NICE Actimize is the largest and broadest provider of financial crime, risk and compliance solutions for regional and global financial institutions, as well as government regulators. 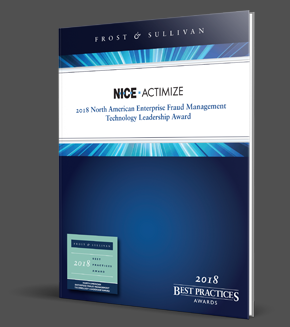 Consistently ranked as number one in the space, NICE Actimize experts apply innovative technology to protect institutions and safeguard consumers and investors assets by identifying financial crime, preventing fraud and providing regulatory compliance. The company provides real-time, cross-channel fraud prevention, anti-money laundering detection, and trading surveillance solutions that address such concerns as payment fraud, cybercrime, sanctions monitoring, market abuse, customer due diligence and insider trading. Copyright © 2019 Actimize Ltd. All rights reserved.